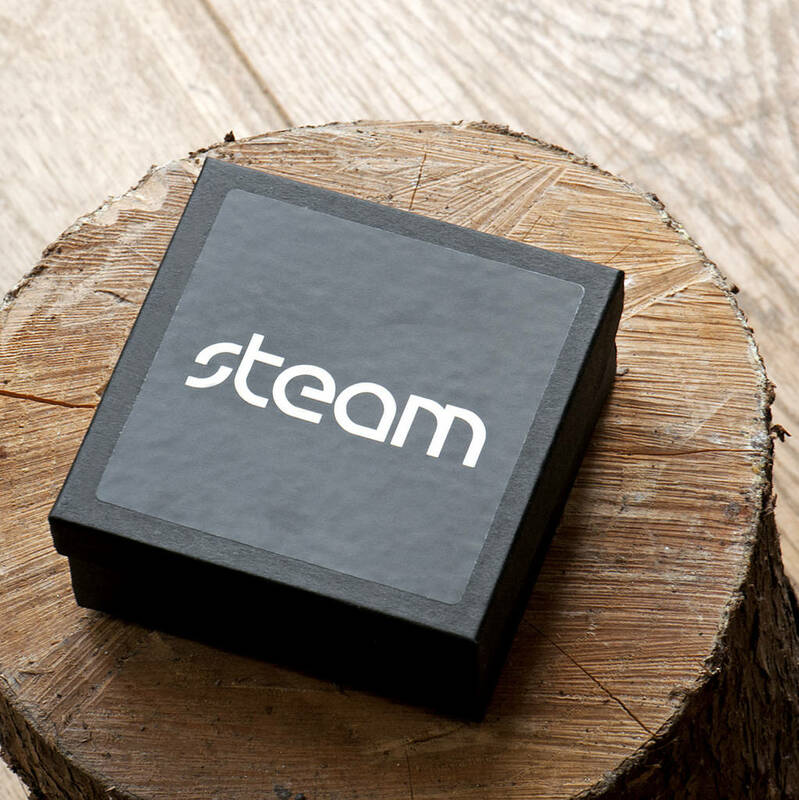 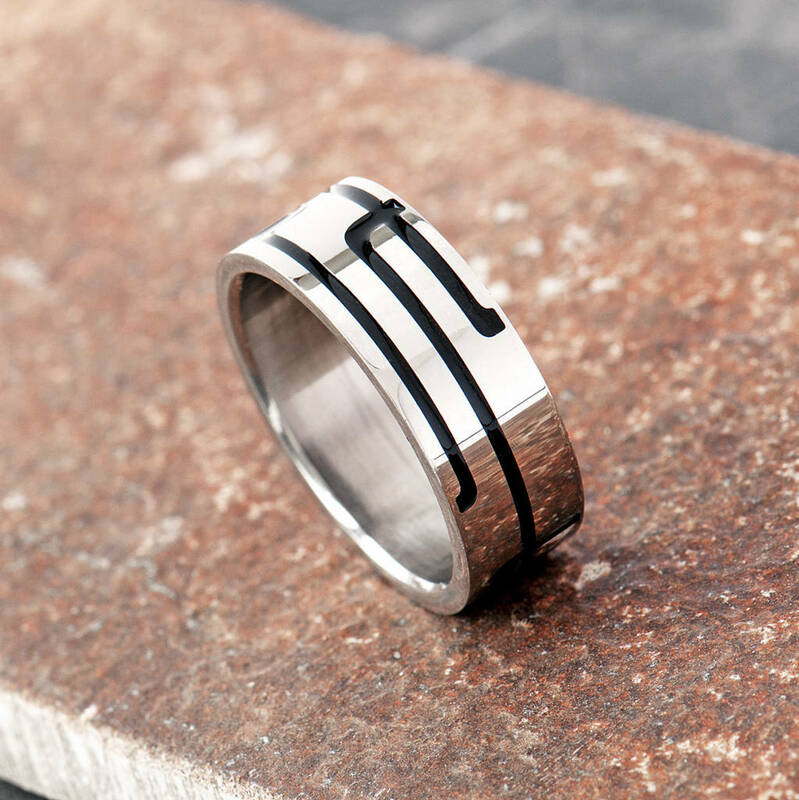 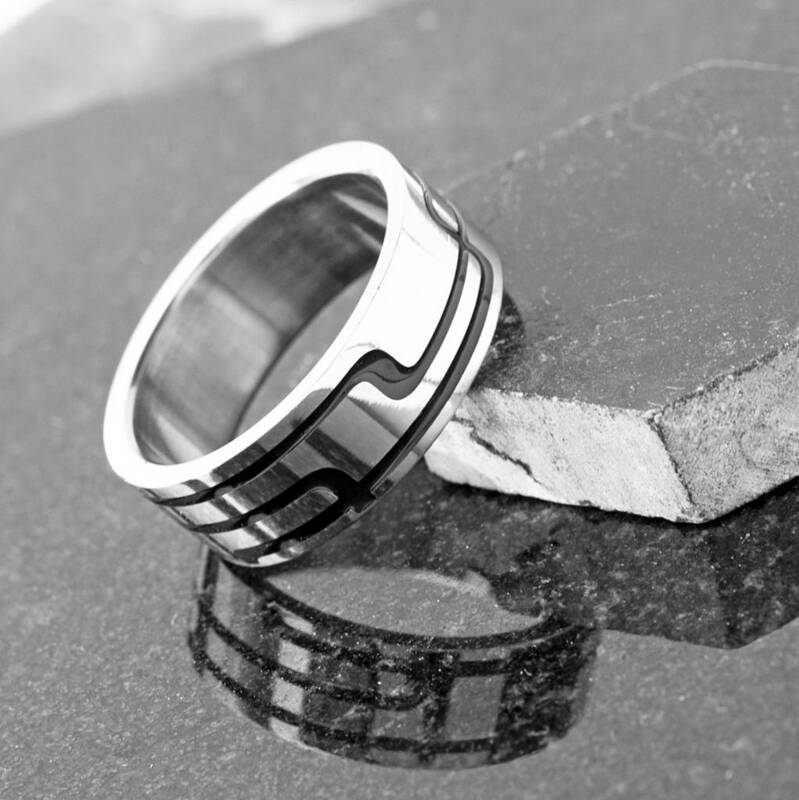 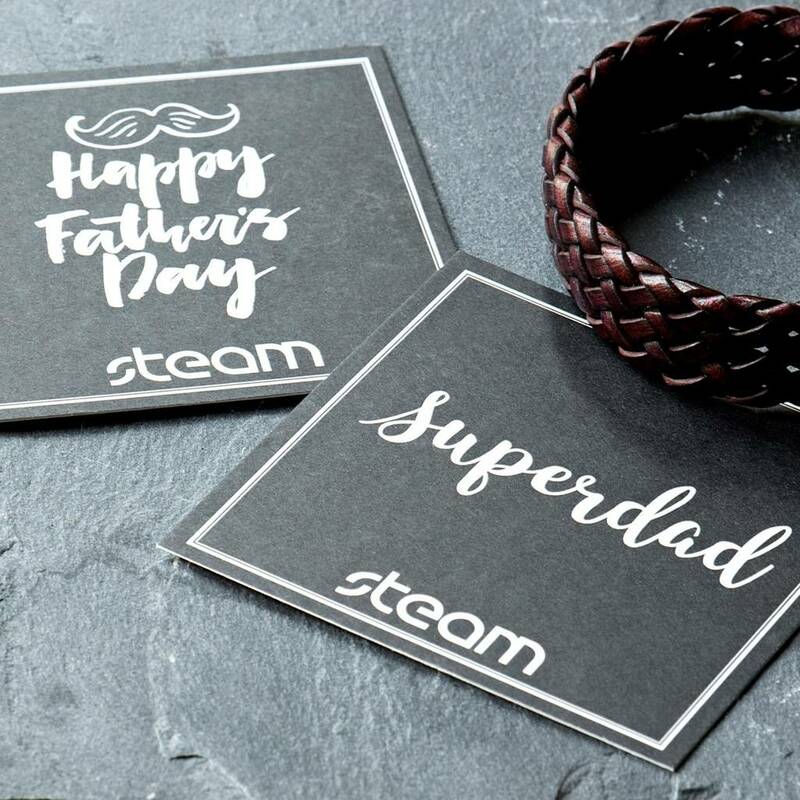 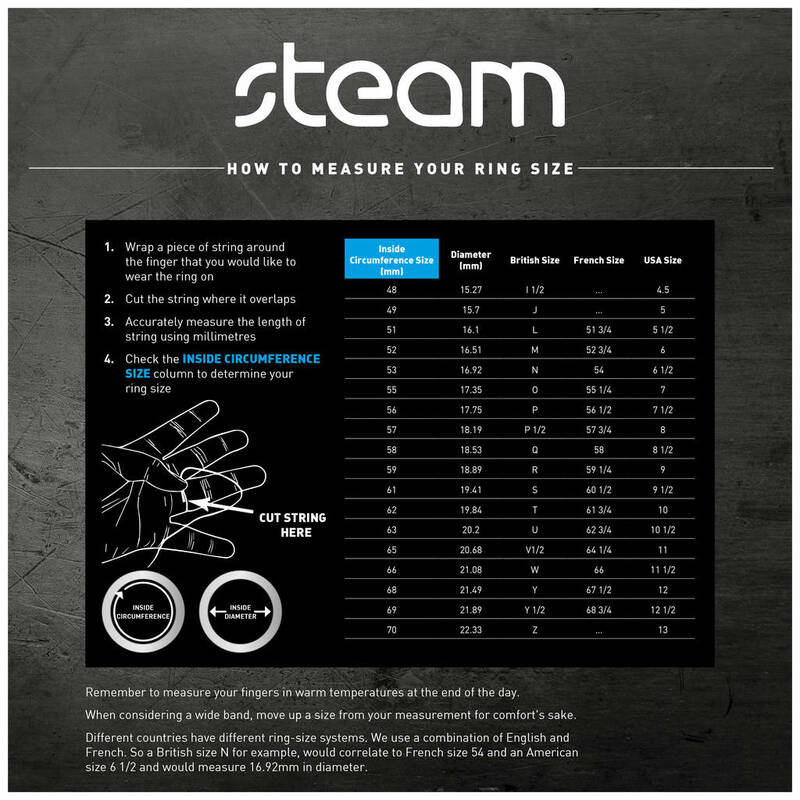 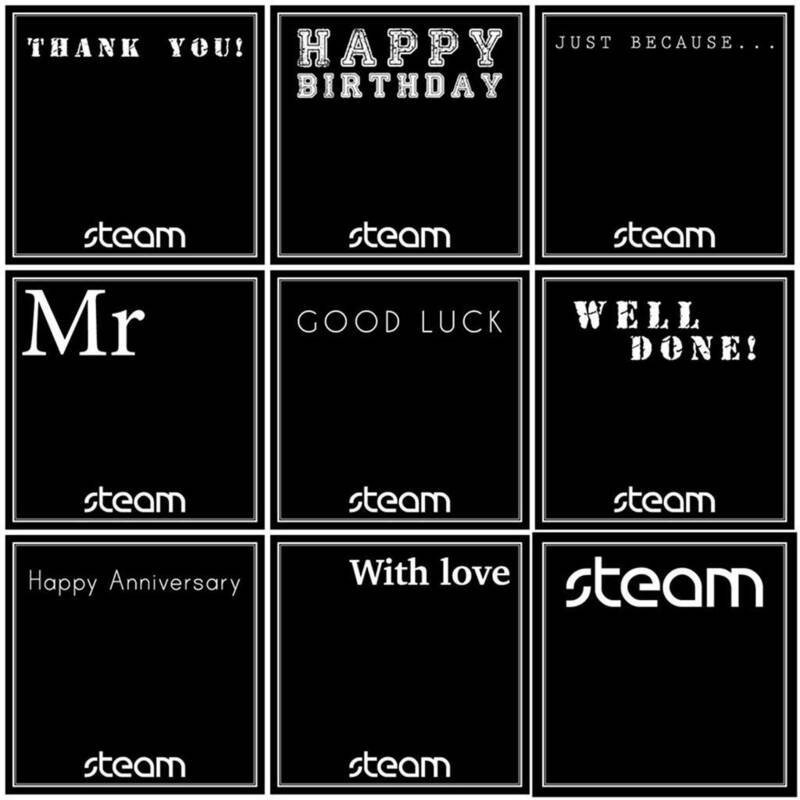 Men's Personalisable Stainless Steel ring with Black Retro Inlay. 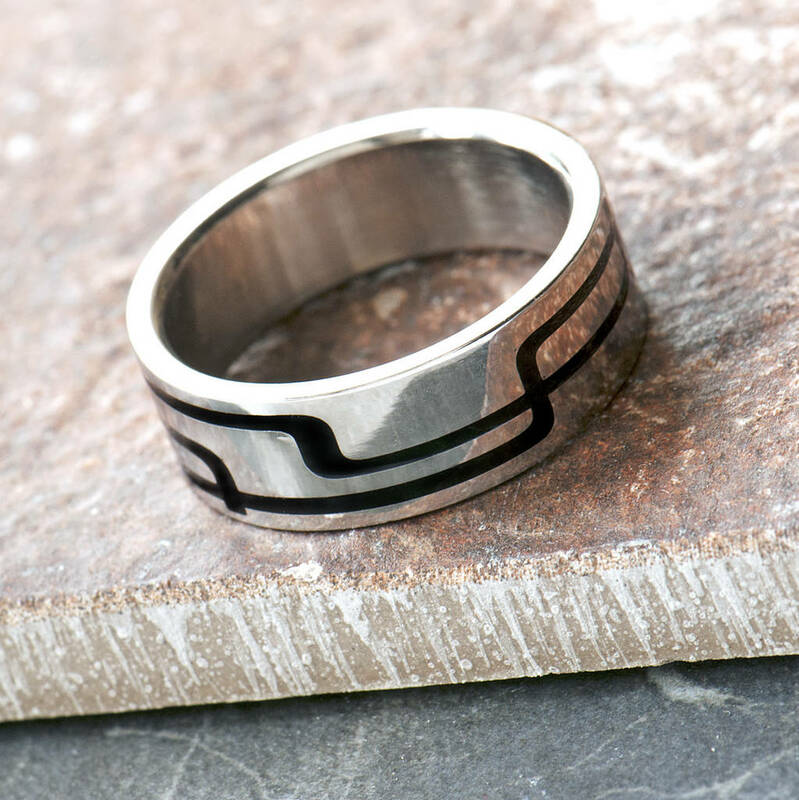 A lovely take on the simple mens band ring, with a simple but funky pattern. 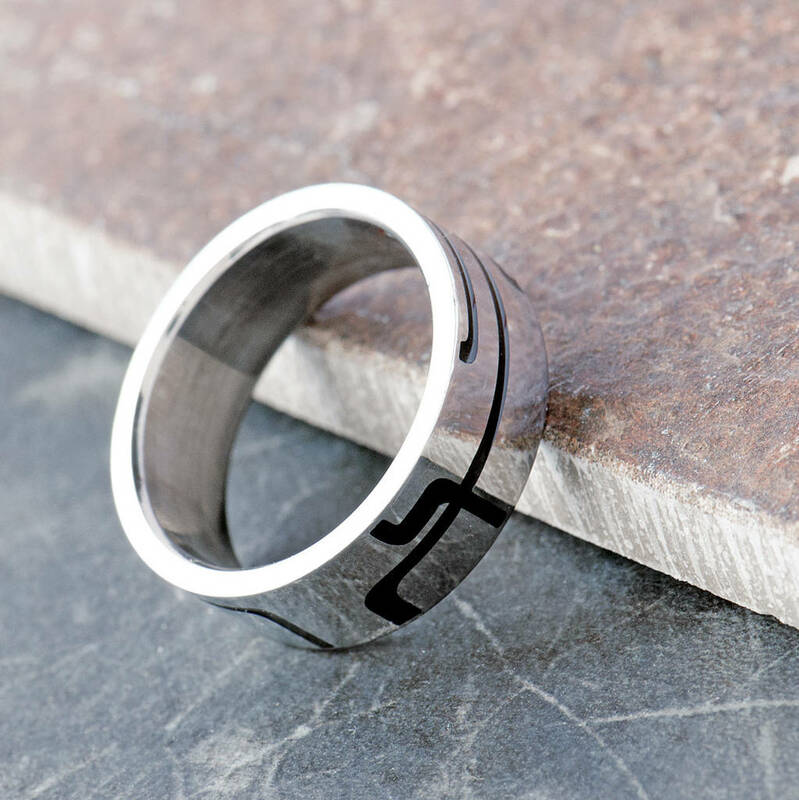 The ring is a robust, comfortable retro classic design making it perfect for everyday wear. 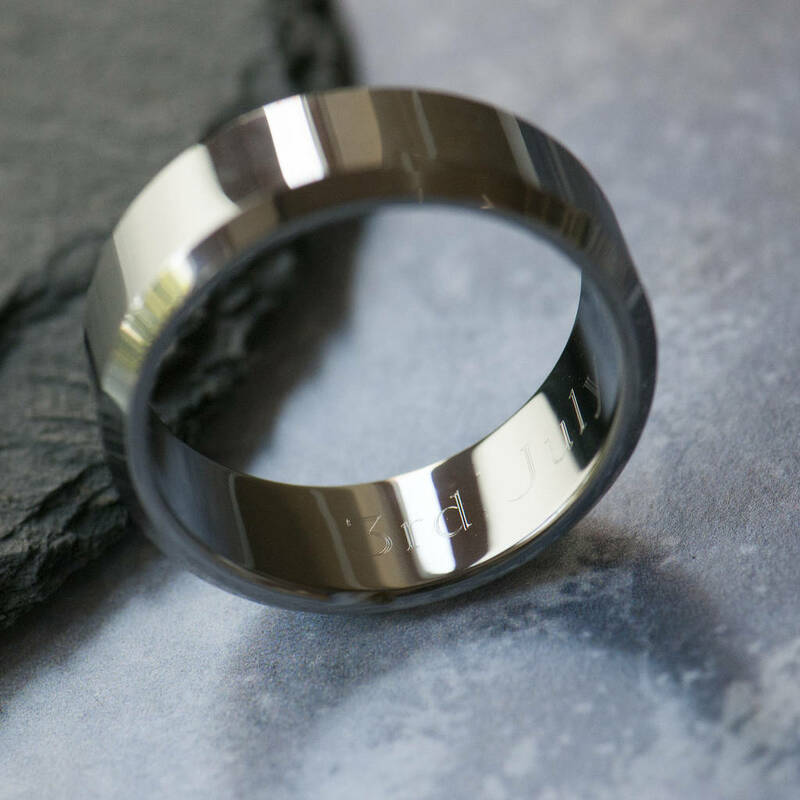 The ring can be engraved internally with a short message, a name or a date.